गूगल सर्च में पोस्ट Thumb और रेटिंग इमेज कैसे दिखाए ..
आपको सूचित करते हुए हर्ष हो रहा है कि आपकी इस प्रविष्टि की चर्चा कल बुधवार (26-06-2013) के धरा की तड़प ..... कितना सहूँ मै .....! खुदा जाने ....!१२८८ ....! चर्चा मंच अंक-1288 पर भी होगी! Really thanks for providing this useful information !!!! 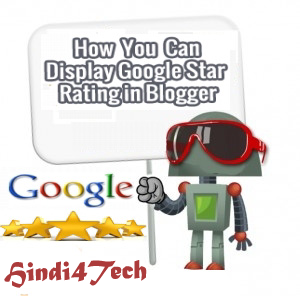 your blog is very good and your this post is too good for google search tricks and web search Engine results tricks for all people . Thank you for this post.This will be very helpful for seo begginers and learners..kepp posting about seo tips in this blog.. Thanks for the information, Always keep updated with the knowledge. I was looking for Affordable Web Design Services USA, Entertainment Design Company Los Angeles and I found your website through google search. I found your blog very interesting. If you are searching for digital marketing course in jaipur, Digital Marketing Company in Jaipur and Digital Marketing Company in Delhi. The basic usage of grammar is for proper communication. If you speak with wrong grammar, you may convey the wrong message. You will often notice that people who cannot use proper English will often talk in a way that is hard to understand. Grammar gives a language its true meaning. It teaches us the sequence in which every word should go so that it is legible. The illegibility is more pronounced in case of written documents as the speaker isn’t actually present in front of you. So, the reader actually needs to read again and again to find out the meaning. But clear grammar lets you understand the same thing in one go.